We are pleased to announce that Tom Watson, successful business leader, dynamic international speaker, best-selling author, and consultant, will be attending and speaking at our Western Canada Leadership Accelerator in Regina, September 25-27, 2019. Tom Watson has dedicated his life to inspiring people to have more fun while striving for excellence in their personal and professional lives. Tom attributes much of his personal and professional success to the lessons he learned through sport. Starting as a multi-discipline athlete with a highly competitive spirit, his passion for sport led to a successful amateur coaching career in football, basketball, volleyball and hockey. 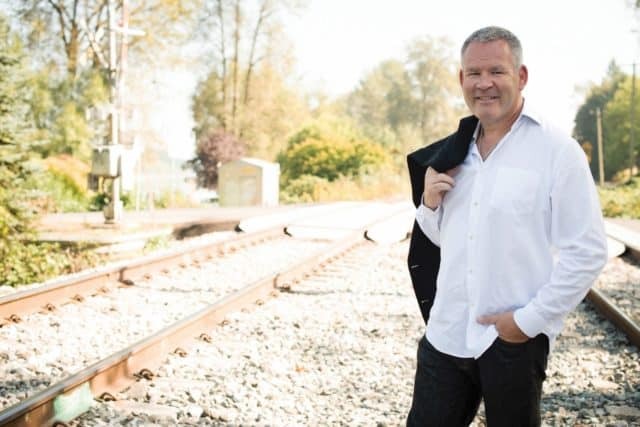 He has worked with elite teams, such as the Vancouver Canucks and the British Columbia Lions in hosting pre-season training camps and championship games, as well as organized and hosted many provincial, national and international events in curling, hockey, volleyball, swimming and lacrosse. The success of his book Man Shoes has made Tom a best-selling author. Man Shoes explores Tom’s rich life – brimming with experiences of love, tempered by heartache and loss, cemented by traditions and enriched with laughter and shared stories. Of course, fun is not the only factor in the formula for building Your Better Life. You have to work hard, be willing to give far more than you receive, and you must honor your faith with commitment while building a strong support network to back you when the going gets tough. Tom was the recipient of the Inaugural SOS International Foster Children's Award in 2017 and the Peter Legge National Philanthropic Award in December of 2018 as well as having received two Humanitarian Awards from the Canadian Red Cross.